Saltbush is a native woody perennial shrub that grows to two metres high and is generally associated with the drier areas of Australia. It is now grown as a fodder plant in a wide range of districts. It can be a valuable source of fodder and is often promoted as a drought reserve. As a salt-tolerant deep-rooted plant it will grow in salty areas, lowering the watertable and reducing the salinity problems. This will allow the opportunity more productive grasses to grow. 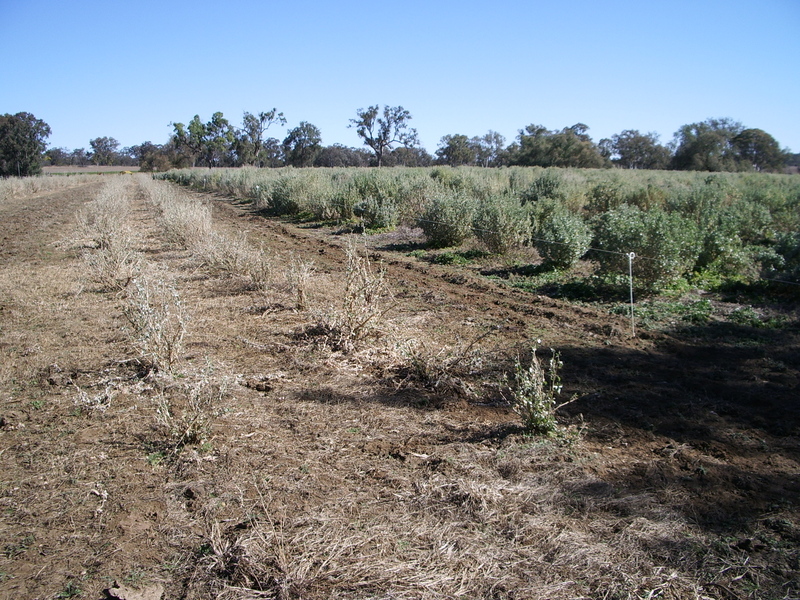 The value of saltbush as a fodder plant in high rainfall areas though is questionable. Three main species of saltbush are used for grazing. Old man saltbush (Atriplex nummularia) is the most commonly known and has been planted across large areas of western New South Wales, Victoria and South Australia. 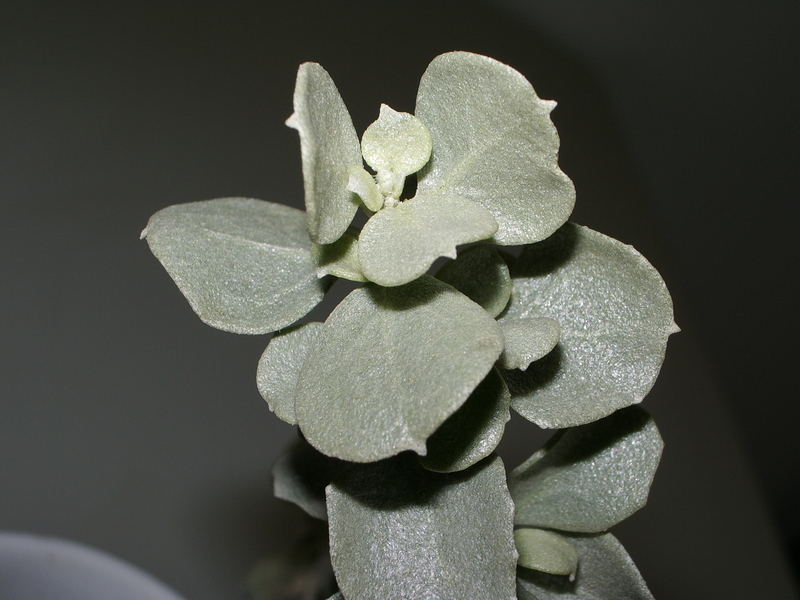 A line of old man saltbush (OMSB) called DeKock was selected in South Africa and is said to be more palatable. Other common grazing species are river saltbush and wavy leaf saltbush. While the figures in the table comparing saltbush with lucerne hay look very positive, only 70 to 80% of the protein in the saltbush is digestible. Similarly, high ash content in the saltbush (15 to 40%) reduces the availability of energy to 40 to 50MJ ME/kg. Salt content of the leaf can be a problem and can cause mineral deficiencies in stock fed large quantities of OMSB. Generally OMSB is planted at a rate of 2,500 to 2,000 seedlings/ha. This allows a stocking rate of 4 Dry Sheep Equivalents/ha or 1–200kg beef animal/ha. Dry matter production of about 1.6t/ha is possible. In comparison a good native pasture may produce up to 3.5 tonnes of dry matter in a similar season. OMSB has been established from seed in Western Australia but it is generally accepted that seedlings provide the best establishment in eastern states. Plants are usually strong enough to graze at 9–12 months. The recommendation is to leave at least 15% of at the first grazing. Regular grazing is then needed to ensure good plant health. Saltbush does best in 300mm plus rainfall environments below 350m in altitude. It is very drought tolerant and can provide green leaf through the driest periods. Plants grow best at temperatures of 30–35°C and are usually dormant over winter when temperatures are below 13°C. Alkaline soils are best; production on clay soils and very acid soils is limited. While salty soils will also limit production, the plant is extremely salt tolerant and is ideal for planting in saline areas to assist rehabilitation. So is it worth planting OMSB? Most of the work with OMSB has been done with grazing sheep and information on its use with cattle is limited. Experiences with grazing cattle in south-east Queensland indicate that saltbush needs to be spelled and locked up regularly (as with sheep) or otherwise the stock will quickly destroy the plants. 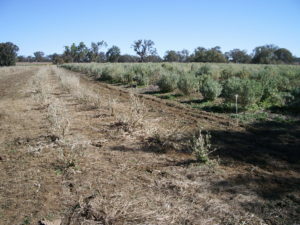 Grown on salty areas over a long time period, saltbush can lower the water table. This will allow grass to return to the area, providing some added grazing value. This is a perfect use for saltbush. Leucaena is a far better option for grazing on fertile soils that are not heavily frosted. Being a legume leucaena will contribute significant amounts of nitrogen to the soil, enhancing grass production. Leucaena also responds quickly to rain and is more resilient to grazing by cattle. Some studies have indicated that saltbush costs $550/ha to establish and leucaena $444/ha to establish. Of course costs will vary markedly from farm to farm. Ultimately it seems that in the higher rainfall areas there are more productive plants to grow than saltbush as a fodder plant. But if you have an unproductive salty area it could be worth fencing it off and growing old man saltbush to help rehabilitate the area. As a drought reserve it would be unlikely you would be able to grow enough saltbush to make a significant difference to drought feeding costs. Damien O’Sullivan, Department of Agriculture and Fisheries.